Other services, such as the Haad Rin Queen, have some good points – they can be fun to take and they are cheaper – however they tend to be unreliable in bad weather, and slower with less comfortable boats, so it is a good idea to avoid using them if you have a fixed travel schedule and like to travel in comfort. All four ferry services listed below depart from Thong Sala in Koh Phangan. The fastest ferry in the Lomprayah service to Mae Nam Pier, which completes the journey from Koh Phangan to Koh Samui in 20 minutes. The cheapest of the four ferry services is the Songserm Ferry at 12.30 which costs 250 thb per person booked online. Reliable service on a modern boat. Only problem with this service is you that you have to carry your own bags on and off the ferry. If you have a lot of bags or children this may be reason to use the other high speed ferry service run by the Lomprayah company. Other than that the Seatran Discovery Company provide a great ferry service. The ferry arrives at Bangrak Pier near Bophut and Koh Samui airport. This service takes you to the Seatran pier in Bangrak. Bangrak is near the northern most point of Koh Samui and very close to the airport. Bangrak Pier is also the closest pier to the popular resort towns of Bophut, Chaweng and Lamai. From here you can easily pick up a songthaew to Chaweng, but for travel to Bophut and Na Thon they are less frequent than they are on the main ring road some 3 km walk away. For nward travel from Bangrak Pier the best option is to try to organise a pre-booked transfer with the Seatran Discovery Company with the check-in staff before you board the ferry. The charge is 150 THB per person to anywhere on the island. This is the fastest boat service from Koh Phangan to Koh Samui with comfortable seats and large roof top seating area. This catamaran boats does the journey in just 20 minutes in good weather. If the waves are big then the journey can take longer. Inside the boat there is a small shop selling drinks and food. The disadvantage of using this service is that the ferry pier is some distance from the main road which is where you will be able to flag down a shared taxi. Mae Nam pier is located on the North Coast of Koh Samui near the town of Mae Nam about 750 metres from the main ring road around the island where you can easily flag down a shared pick up truck taxi which will charge around 60 THB per person for the trip to Chaweng. 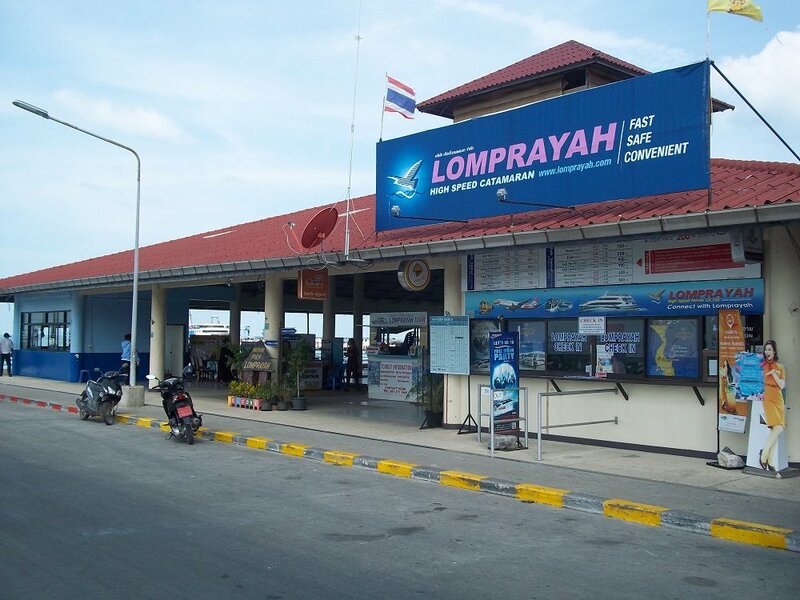 If 750 metres is too far to walk then speak to the Lomprayah check in staff about arranging a transfer on arrival at Mae Nam pier in one of the Lomprayah minivans. It costs 150 THB per person for a transfer to any point on the island from Mae Nam pier. This is the second fastest boat service from Koh Phangan to Koh Samui. 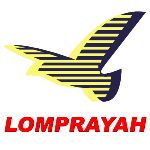 The boats are the same as the Lomprayah Company uses on the route to Maenam, which are large and comfortable with indoor and outdoor seating and a small shop selling drinks, sandwiches and other snacks. The advantage of travelling via Na Thon is that it is easy to find a shared taxi for your onward journey in Koh Samui. 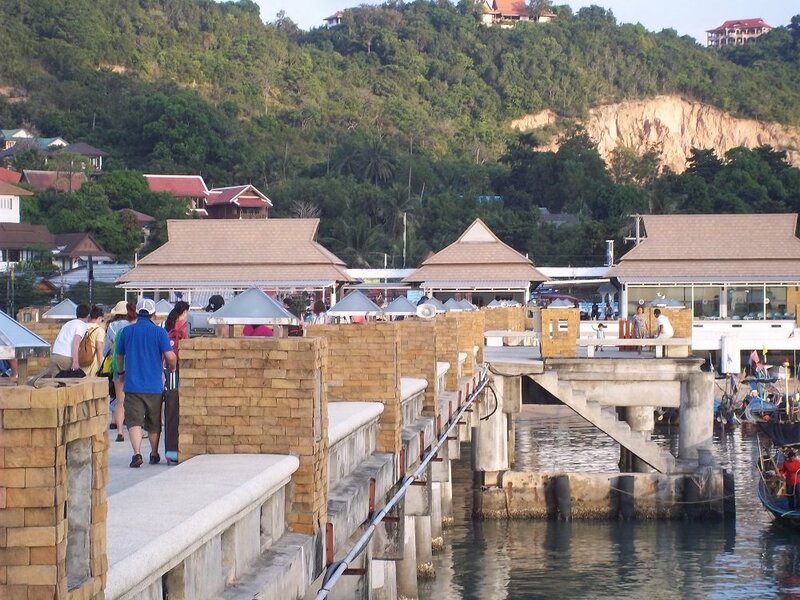 Na Thon Pier is in the centre of Na Thon town which is the administrative capital of Koh Samui. 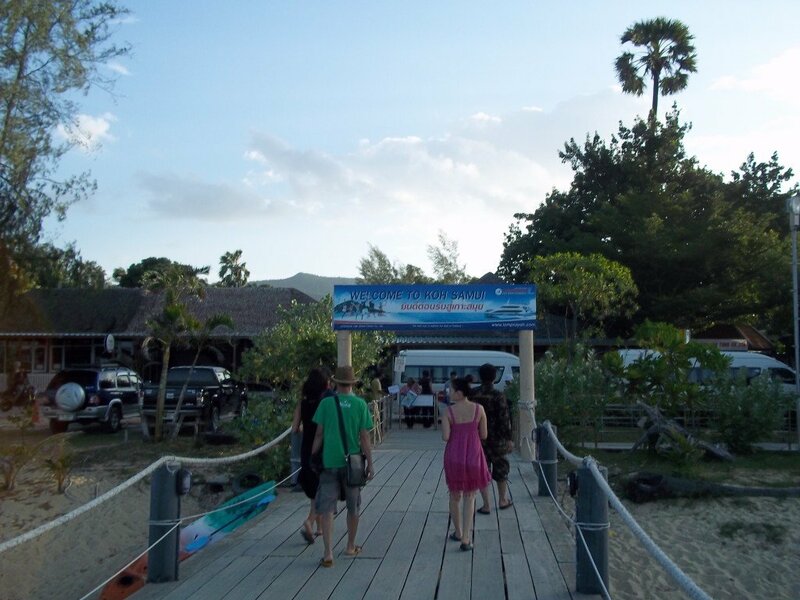 There are plenty of transport options from Nathon Pier to other destinations on Koh Samui. We recommend using the Sonthaew shared taxis which depart from the car park near the start of the ferry pier. These shared taxis go to most of the popular destinations in Koh Samui such as Chaweng and Lamai for a fraction of the cost of a private taxi. There are also other ferry services from Koh Phangan to Koh Samui. The Thong Nai Pan Express service which leaves every day (except when the weather is stormy) from Thong Nai Pan at 09.00 and arrives in Koh Samui (Maenam) at 10.30 am. A slow service on a small wooden boat but in good weather a very enjoyable trip as the boat travels the East Coast of Koh Phangan past some beautiful beaches which are difficult to reach by road. There is also the Haad Rin Queen which takes 50 minutes to reach Koh Samui (Bangrak) and leaves from Haad Rin Pier. The Haad Rin Queen service leaves at 09.30, 11.40, 14.30 and 17.30 every day except if the weather is bad. The Seatran and Lomprayah services run in all weather except for in very large storms during the rainy season. High speed ferry services to Koh Samui depart from Thong Sala, which is Koh Phangan’s main town.